English Cream Golden Retriever Puppies Available Now | Contact Us. 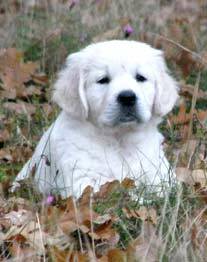 White Golden Retriever puppies are our pride and,joy here at GoldWynns and we raise them with an abundance of love, care, and thoroughness. We aim to do everything in our power to ensure your puppy is well-socialized, potty trained, and in perfect health to make the transition into your home easy and stress-free for both you and your new family member! We place great value on a high quality diet for our dogs, as it plays a significant role in their health throughout life. From the beginning of life, our puppies are fed the best food and supplements available to meet their specific nutritional needs. For details on the extensive steps we take in raising and training our English Golden Retriever puppies, check out our Raising Your Puppy page. 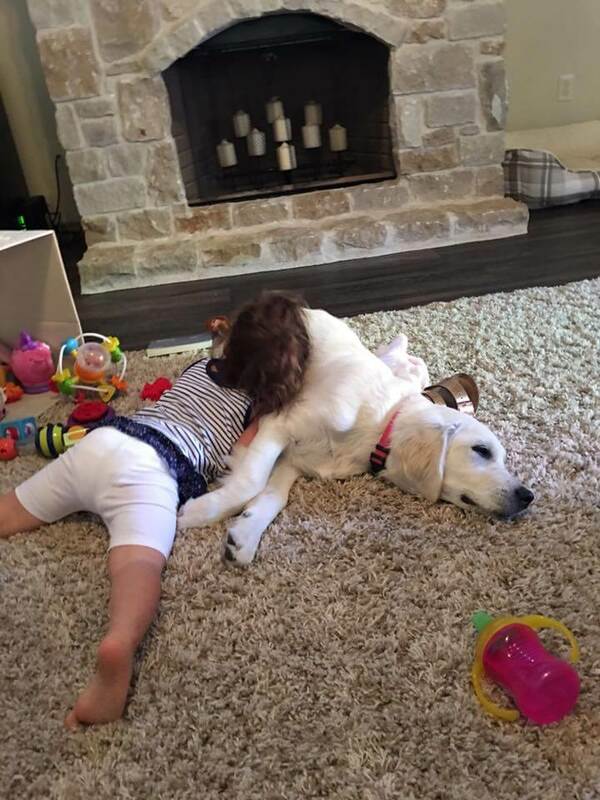 Whether you are in search of a loving family companion, elite show dog, compassionate therapy animal, or anything in between, we are confident that you will find exactly what you are looking for in our beautiful Cream Golden Retriever puppies. 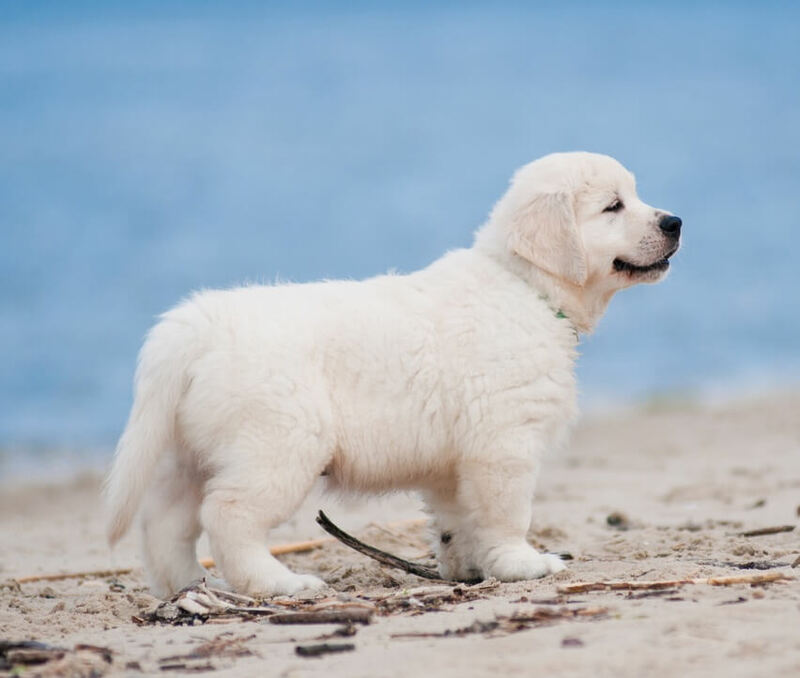 Though formally recognized as “English Cream Golden Retrievers,” they are often referred to as “Cream Golden Retrievers,” “White Golden Retrievers,” or “British Golden Retrievers.” Regardless of what you’d like to call them, we have the puppies for you! Not only are the dogs we raise beautiful, with luscious white coats and strong builds characteristic of the breed, they are also incredibly intelligent, trainable, loyal, and relaxed. Their mellow temperament and playful, loving personalities make them the perfect dogs to own from puppyhood on! To ensure the healthiest puppies bred with close attention to quality, we search through hundreds of dogs and pedigrees to find the perfect, well-rounded champions to import for our breeding program. All of our dogs are imported from Europe, guaranteeing the healthiest and most ethically bred animals. We are so confident in the puppies we raise, that we offer a five year health guarantee if you feed your new puppy our recommended diet and supplement program. Check out the high quality diet of our English Cream Retrievers here and take the healthy dog challenge to see how other dog foods compare. No matter where you live in the United States, we probably have a puppy around there. Join our GoldWynns Puppy Family today. Our White Golden Retriever puppies currently have homes from coast to coast, including Florida (Orlando, Sarasota, Tampa), Texas (Dallas, Houston, Austin, San Antonio), California, New York, Nevada, Tennessee, Virginia, Indiana, Ohio, Kentucky, and more! We desire to expand this huge family of admirers across the continent so that everyone knows and appreciates what a truly special gem this breed is. We would love nothing more that to raise and nurture your future puppy! We are excited to invest everything with have in our upcoming litter so that we continue to offer the best-natured, healthiest dogs, equipped for a lifetime of love and loyalty. Apply for a puppy here and get your deposit down now for our upcoming English Cream Retriever puppies for sale! Feel free to contact us for any more information on this magnificent breed and why they are the perfect addition to your family!